Liverpool’s status as one of football’s enduring global powers remains undiminished despite the club’s recent travails, according to the club’s commercial director, Ian Ayre. 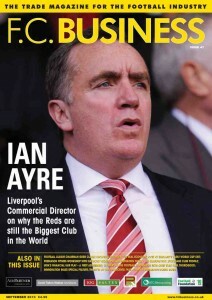 In an interview with the latest edition of FC Business magazine – the industry publication for football in the UK – Ayre is bullish about the club’s prospects, on and off the pitch. Ayre says that Liverpool’s new £20m-a-year shirt sponsorship deal with Standard Chartered bank, which is the most lucrative in English football history, demonstrates the strength of Liverpool’s attraction globally. “If you take one deal that shows the progress we’ve made, it’s that deal,” Ayre tells FC Business. “It’s valuable in itself, but it says so much more about the set-up we now have. Ayre asserts that Liverpool have only one significant commercial rival in England – at least in global popularity – and that’s Manchester United. “In my opinion there are only two truly global brands in the Premier League and that’s Liverpool and Manchester United,” he says, and points to a range of indicators from shirt sales to Facebook followers to the popularity of the club’s own TV channel to demonstrate the fact. Liverpool’s commercial revenues outstrip any rival in percentage terms of all income, at £60m (of £185m) in 2008-09, against Manchester United’s £70m of £278m, and Arsenal’s £48m of £224m. It is also widely accepted by football finance experts that Liverpool are an attractive long-term proposition financially, with the vital waiver of funding provision being available for a new 60,000-plus seat stadium. It is remarkable that Liverpool have remained so relatively strong in recent times, financially, despite still being housed at Anfield. Match day revenues are some £60m lower at Liverpool each season than at Manchester United and Arsenal, immediately putting the Reds at a disadvantage to their major domestic rivals. A new stadium would go a significant way to addressing that balance. Having owners who don’t need to meet interest payments of tens of millions of pounds annually would also help. The interview with Ayre was conducted shortly before the latest round of speculation began over potential bidders began a fortnight ago, and as such Ayre makes no comment in the piece on the bidding process or bidders. But he does make clear how important a new stadium is to the club’s future, saying: “Liverpool’s UK business going forward is hugely reliant on the development of the new stadium, but everyone knows that. I’m not speaking out of turn on that. Tom Hicks and George Gillett know that and acknowledge it. Liverpool’s managing director, Christian Purslow, made it clear on Sunday in an interview with Sportsweek on Radio 5 that the club’s board will ensure whoever buys the club and replaces Tom Hicks and George Gillett will have demonstrated, beyond doubt, that they have a plan (and funding) to guarantee Liverpool move forward. The process to sort “the wheat from the chaff” among interested parties remains ongoing. 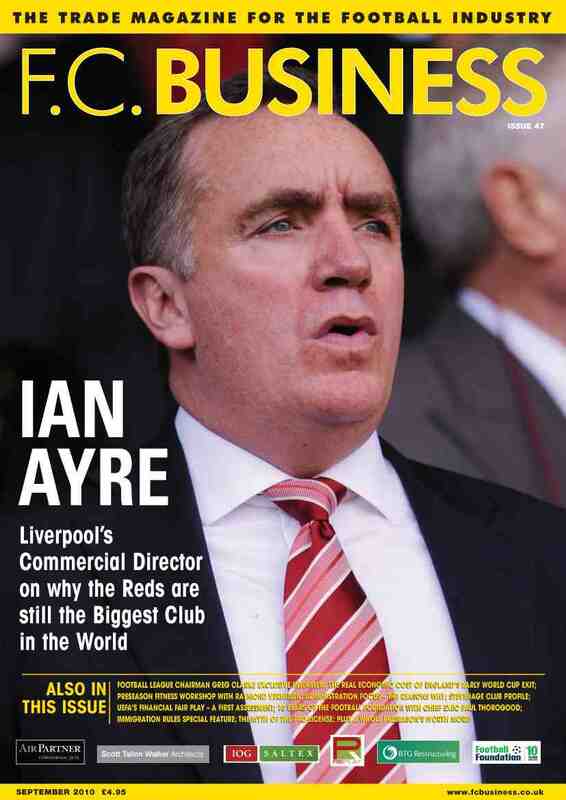 The full interview with Ian Ayre, conducted exclusively for FC Business by Nick Harris of sportingintelligence, is in the current issue, published today. The FC Business website is here. Nick Harris’s previous cover story for FCB was the only extensive interview to date by a British journalist with Birmingham’s Chinese owner, Carson Yeung.